I really do not like chocolate and bananas together EXCEPT in my morning protein shake. I’ve had chocolate dipped bananas, banana chocolate chip pancakes, and other various ways to mix chocolate and bananas. I haven’t found any of these to work for me. I do, however, like a little chocolate chips in banana bread. 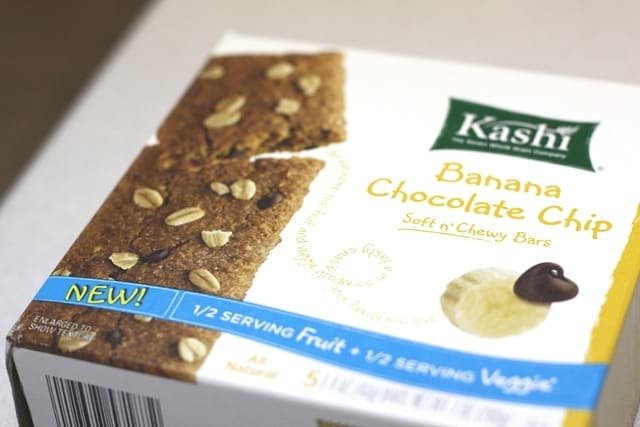 So when I found a box on my doorstep and saw the box of Banana Chocolate Chip bars from Kashi, I felt a little apprehensive. I have horrid memories of fake banana popsicles when I had my tonsils removed when I was 5 years old. Yes, I’m weird that way. I barely remember anything else except all they had were banana popsicles and they were NASTY. Ever since then, I have almost a twitchy reaction to imitation banana flavor. But, I had a feeling Kashi is a few steps above imitation chemical bananas. I was right. These were soft chewy bars with some crunchy seven grains on top. The bar itself was full of dark chocolate and REAL banana flavor. They are not overly sweet and have a hint of molasses. 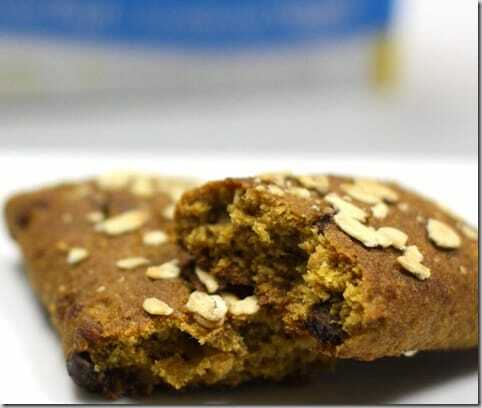 It really reminded me of a dense banana bread with the dark chocolate for some sweetness. I loved the crunchy topping on top as well. I’m hope to hear of more flavors of their new Soft n’ Chewy line of bars. I think they are off to a great start with these Banana Chocolate Chip.